Oats often have an outer skin (or hull) which needs first to be removed prior to consumption. 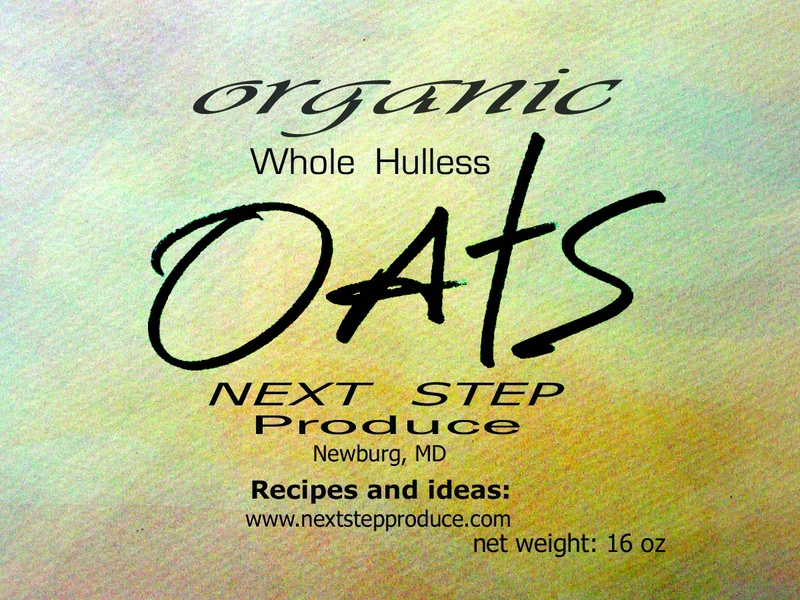 We grow a hulless variety oats and so do not require that extra step to remove the tough outer skin. We have found our oats to be great cooked whole for breakfast on a Sunday morning when the essence of wholesome oats cooking on the stovetop can be fully appreciated. They will cook to be plump, tender and truly flavorful mixed with cinnamon and a sweetener of choice. You can also try adding some grated apples halfway through cooking, or incorporating them, cooked, into muffins, pancakes or breads before baking (if you’re using oat flour, this is particularly nice). At market we have on display a highly recommended roller mill, which, with your help, makes beautiful, truly old-fashioned rolled oats right in your own kitchen. The result is fresh and so flavorful. The rolled oats can be used just as you would any others—in cookies, bread, or for breakfast muesli, granola or porridge, or the topping for a fruit crisp. If you choose to cook them, use a 1:2 ratio of rolled oats to water; they take just about 7 minutes to cook, greatly reducing the cooking time from the whole berries. Whole oats also work well in many of the preparations where you’d ordinarily turn to brown rice or barley—as a base for stuffing, in a pilaf, or in a creamy pudding.